A common seen user requirement for Master Data Management (MDM) solutions is an ability to copy the content of the attributes of an existing entity when creating a new entity. For example when creating a new product you may find it nice to copy all the field values from an existing similar product to the new product and then just change what is different for the new product. Just like using copy and paste in excel or other so called productivity tools. We all know the dangers of copy and paste and there are plenty of horror stories out there of the harsh consequences like when copying and pasting in a job application and forgetting to change the name of the targeted employer. You know: “I have always dreamed about working for IBM” when applying at Oracle. The exact same bad things may happen when doing copy and paste when working with master data. You may forget to change exactly that one important piece of information because you miss guidance on the copied data within your system of entry. Using an inheritance approach is a better way. This approach is for product master data based on having a mature hierarchy management in place. When creating a new product you place your product in the hierarchy where it will inherit the attributes common for products on the same branch of the hierarchy and leave it for you to fill in the exact attributes that is specific for the new product. If a new product requires a new branch in the hierarchy, you are forced to think about the common attributes for this branch through. For party (customer, supplier and other business partner) master data you may inherit from the outside world taking advantage of fetching what is already digitalized, which includes names, addresses and other contact data, and leaving for you to fill in the party master data that is specific to your way of doing business. It’s the second day of the MDM Summit Europe 2013 in London today. The last session I attended today was an expert panel on Reference Data Management (RDM). I guess the list of countries on this planet is the prime example of what is reference data and today’s session provided no exception from that. Even though a list of countries is fairly small and there shouldn’t be everyday changes to the list, maintaining a country list isn’t as simple as you should think. 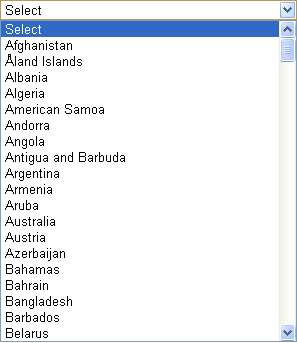 First of all official sources for a country list aren’t in agreement. The range of countries given an ISO code isn’t the same as the range of countries where for example the Universal Postal Union (UPU) says you can make a delivery. Another example I have had some challenges with is that for example the D&B WorldBase (a large word-wide business directory) has four country codes for what is generally regarded as the United Kingdom, as the D&B country reference data probably is defined by a soccer fan recognizing the distinct national soccer teams from England, Wales, Scotland and Northern Ireland. The expert panel moderator, Aaron Zornes, went as far as suggesting that a graph database maybe the best technology for reflecting the complexity in reference data. Oh yes, and in master data too you should think then, though I doubt that the relational database and hierarchy management will be out of fashion for a while. What’s so special about your party master data? My last blog post was called Is Managing Master Data a Differentiating Capability? The post is an introduction to a conference session being a case story about managing master data at Philips. During my years working with data quality and master data management it has always struck me how different organizations are managing the party master data domain while in fact the issues are almost the same everywhere. First of all party master data are describing real world entities being the same to everyone. Everyone is gathering data about the same individuals and the same companies being on the same addresses and having the same digital identities. The real world also comes in hierarchies as households, company families and contacts belonging to companies which are the same to everyone. We may call that the external hierarchy. Based on that everyone has some kind of demand for intended duplicates as a given individual or company may have several accounts for specific purposes and roles. We may call that the internal hierarchy. A party master data solution will optimally reflect the internal hierarchy while most of the business processes around are supported by CRM-systems, ERP-systems and special solutions for each industry. Fulfilling reflecting the external hierarchy will be the same to everyone and there is no need for anyone to reinvent the wheel here. There are already plenty of data models, data services and data sources out there. Right now I’m working on a service called instant Data Quality that is capable of embracing and mashing up external reference data sources for addresses, properties, companies and individuals from all over the world. The iDQ™ service already fits in at several places as told in the post instant Data Quality and Business Value. I bet it fits your party master data too. A traditional discipline in measuring ROI from a certain market activity is, as told in the post Matchback and Master Data Management, that you try to figure out from which activity a new (prospect) customer was triggered. The problem is that the trigger may be in one channel but the customer shows up in another channel. Measuring the Return on Investment (ROI) in doing social media communication and social CRM also requires matchback and in order to do this you will need social master data management where the old systems of records are linked to the new systems of engagement. As the social business has some considerations not at least around privacy, the matchback activities may very well be done by adapting Hierarchy Management in Social MDM. The most frequent data quality improvement process done around is deduplication of party master data. A core functionality of many data quality tools is the capability to find duplicates in large datasets with names, addresses and other party identification data. The difficulties in reaching the above result aside, you should think the rest is easy. Take the true positives, merge into a golden record and purge the unneeded duplicate records in your database. Well, I have seen so many well executed deduplication jobs ending just there, because there are a lot of reasons for not making the golden records. Sure, at lot of duplicates “are bad” and should be eliminated. But many duplicates “are good” and have actually been put into the databases for a good reason supporting different kind of business processes where one view is needed in one case and another view is needed in another case. Many, many operational applications, including very popular ERP and CRM systems, do have inferior data models that are not able to reflect the complexity of the real world. Only a handful of MDM (Master Data Management) solutions are able to do so, but even then the solutions aren’t easy as most enterprises have an IT landscape with all kinds of applications with other business relevant functionality that isn’t replaced by a MDM solution. What I like to do when working with getting business value from true positives is to build a so called Hierarchical Single Source of Truth. Most data quality and master data management gurus, experts and practitioners agree that achieving a “single source of truth” is a nice term, but is not what data quality and master data management is really about as expressed by Michele Goetz in the post Master Data Management Does Not Equal The Single Source Of Truth. Even among those people, including me, who thinks emphasis on real world alignment could help getting better data and information quality opposite to focusing on fitness for multiple different purposes of use, there is acknowledgement around that there is a “digital distance” between real world aligned data and the real world as explained by Jim Harris in the post Plato’s Data. Also, different public available reference data sources that should reflect the real world for the same entity are often in disagreement. Many organizations have a considerable overlap of real world entities who is a customer and a supplier at the same time. Expanding to other party roles this intersection is even bigger. This calls for a 360° Business Partner View. Most organizations divide activities into business-to-business (B2B) and business-to-consumer (B2C). But the great majority of business’s are small companies where business and private is a mixed case as told in the post So, how about SOHO homes. When doing B2C including membership administration in non-profit you often have a mix of single individuals and households in your core customer database as reported in the post Household Householding. As examined in the post Happy Uniqueness there is a lot of good fit for purpose of use reasons why customer and other party master data entities are deliberately duplicated within different applications. Lately doing social master data management (Social MDM) has emerged as the new leg in mastering data within multi-channel business. Embracing a wealth of digital identities will become yet a challenge in getting a single customer view and reaching for the impossible and not always desirable single source of truth. A way of getting some kind of structure into this possible, and actually very common, mess is to strive for a hierarchical single source of truth where the concept of a golden record is implemented as a model with golden relations between real world aligned external reference data and internal fit for purpose of use master data. Right now I’m having an exciting time doing just that as described in the post Doing MDM in the Cloud.